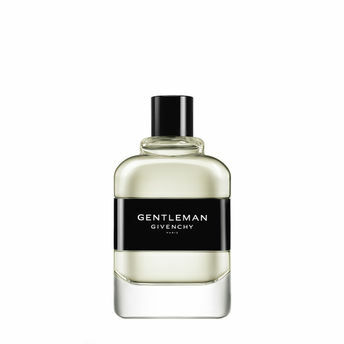 Gentlemen' by Givenchy draws inspiration from the original 1970's fragrance to propose a new creation entirely reinvented for the 21st Century Gentleman. A balance between unquestioned strength and confident delicacy, Gentleman Givenchy offers audacious contrasts in a woody-floral fougère. This Eau de Toilette reveals the freshness of pear, heated up by cardamom on a base of spiced lavender. In contrast, the leather-patchouli accord brings in its wake a sensual, vibrant dimension, balanced out with black vanilla.A Givenchy classic modernized for the new age gentleman who exudes refinement without even seeming to try, this is a distinguished, charming and elegant fragrance for the modern day gentleman. Explore the entire range of Perfumes (EDT & EDP) available on Nykaa. Shop more Givenchy products here.You can browse through the complete world of Givenchy Perfumes (EDT & EDP) .Alternatively, you can also find many more products from the Givenchy Gentleman Eau De Toilette range.